Max Hastings’s hatred of Russians not only produces error after error to discredit the Russian side of his history of secret intelligence operations in World War II. The evidence Greek historians have uncovered and published of what the British secret services, directed by Prime Minister Winston Churchill, did to prepare the ground for the Greek civil war, beginning in December 1944, discredits Hastings on the Greek front. Madness, betrayal, murder, British justice. Hastings doesn’t cite a reference to substantiate his claims. The internal references appear to refer to the year 1941. Elsewhere on the same page, though, Hastings cites, not a direct source for the Lawrence case, but another British historian working with hearsay. That was Keith Jeffery’s MI6: The History of the Secret Intelligence Service, 1909-1949, published in 2010. Hastings lifted his Lawrence tale from this. Jeffery (below, left) is an academic, now retired from the teaching of British history. Moran (right) had told him the story, Clive wrote later. No MI6 report on the case has been identified. So what happened turns out to be hearsay from the shooter himself, based on a 42-year old conversation. Clive admits there was more than one interpretation of Lawrence’s death. But in his book he dismissed “the postwar published evidence portraying Costa Lawrence as a [civil war] martyr”. 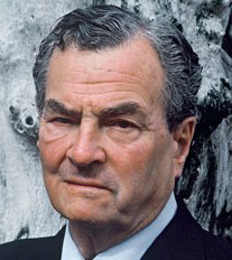 attempting to betray his comrades to the enemy.” Which enemy the Russia-hating Leigh Fermor, who was based in Crete during the war, doesn’t say. But he gives Lawrence’s death a judicial-sounding twist that is missing from Clive’s party piece. For more on the gun-toting self-glorification Leigh Fermor indulged in Greece, and then in the pages of his biographer, read this. 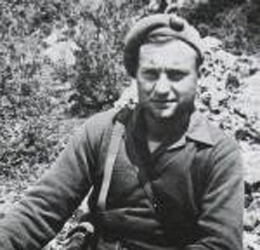 No trace of Costas Lawrence has been found except for the British agents in Greece who shot, er succeeded him in the fight — not against the Germans, but against ELAS, the Greek communists, and the left side in the civil war. There is nothing at all on how Hastings gathered that Lawrence had been “unhinged” and “fanatical”, in addition to being traitorous, pro-communist, not to mention “Greek”. In 2013 relatives of Moran reported a little more about his military career. He had started the war with the rank of 2nd lieutenant, and ended as a major. He continued to operate in Greece during the civil war, apparently under cover as a British “observer” on the United Nations Special Committee on the Balkans (UNSCOB). That was a US Government-funded operation to prevent resupply of the Greek left forces from Albania, Yugoslavia and Bulgaria along Greece’s northern frontiers. After he left the secret services, his family reports that Moran worked as a civilian “engineer” with homes and work in the UK and Cyprus. He died in Cyprus in 1979. In the family history, there is mention of Moran’s “expertise in sabotage and his charm & friendliness.” No mention of the killing of Lawrence; no party piece. The Greek historian and publisher, Aristide Caratzas, reports that thirty-five years ago he and a colleague, Lars Baerentzen, “were researching the Athens December 1944 uprising in the context of a couple of hundred photographs we had discovered in the Time-Life files.” By then British military tactics had evolved to include conventional operations against the Greek left forces, aerial bombing, and ambushes. “As the fighting in Athens began in earnest Caratzas says, “the British deployed sniper teams throughout Athens; the unit involved was the predecessor to what became the SAS. They apparently had very good intelligence and targeted ELAS officers down to the level of captain. I recall seeing photocopies of pages from small notepads kept by the sniper teams. In one instance the note was ‘13 kills today, it was a good day!’ Baerentzen had found these notepads in the Imperial War Museum (London). The objective of the British sniper deployment was to contribute to depriving ELAS of the tactical initiative. In that, it proved successful — especially inasmuch as the ELAS troops were not particularly well prepared for urban fighting.” For more, read this.